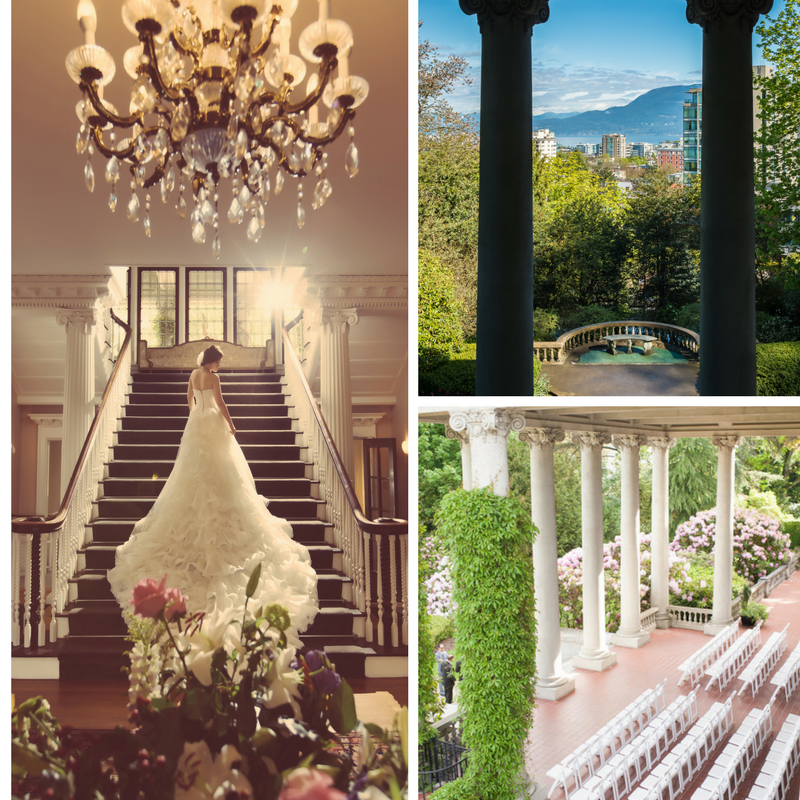 Imagine your wedding ceremony in our elegant Drawing Room and breathtaking Green Solarium. Hycroft is the ideal setting for an intimate evening wedding ceremony. Please contact our Events Manager, who will be pleased to provide you with more information. Hycroft is a unique and unparalleled setting for wedding ceremonies and receptions. 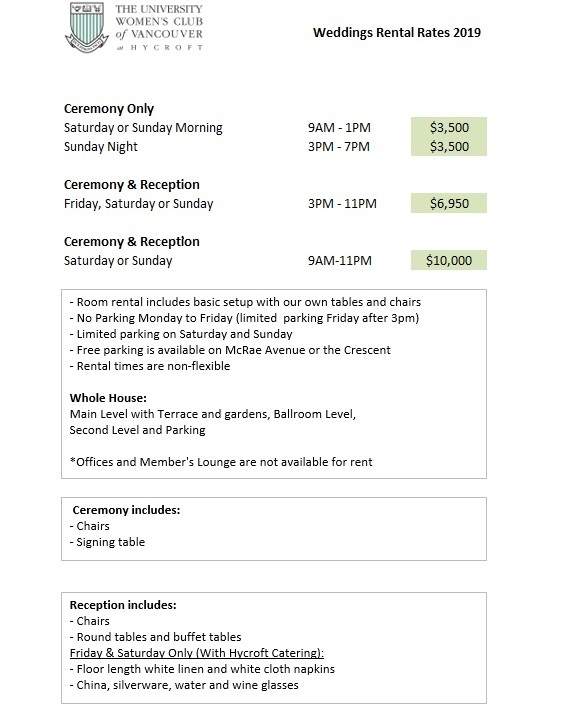 Typically wedding ceremonies require rentals of four hours duration. A wedding ceremony and reception can be accommodated in 8 hours. Due to the residential neighbourhood location of Hycroft, all rentals must be concluded by 11:00 p.m. This is non-negotiable. Please note: Socan fee must be added to any event with any entertainment and/or music.